Given the technology we have available nowadays, we better put it to good use until we make a fool of ourselves – it’s a common fact that people who don’t use technology for something else than leisure are not seen with quite good eyes, so to speak. 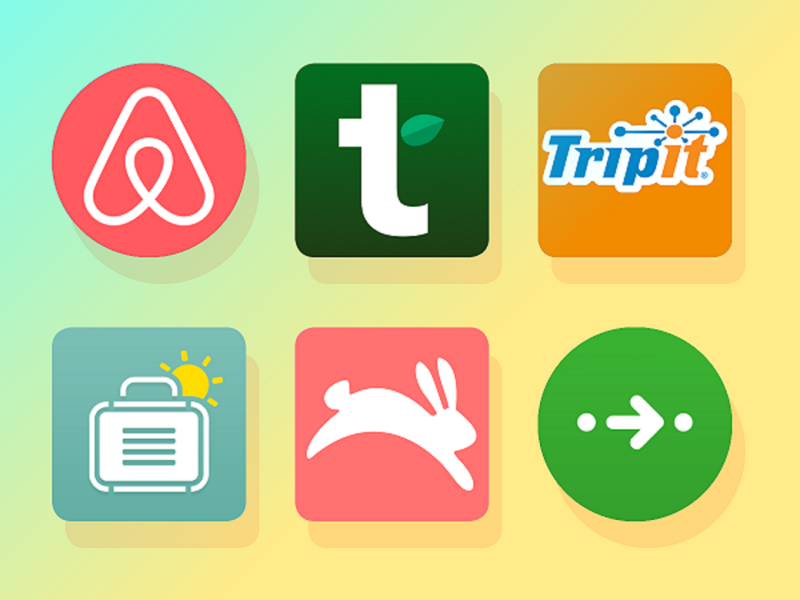 Basically, you must have other apps than games and whatnot on your smartphone – moreover, if you are a traveler, then you definitely need a couple more apps than just the basic ones. That’s why, today we’ll skip the basic Google Translate and Google Maps apps and, instead, tell you which four other travel apps you need to install on your phone – whether you are planning to leave shortly or just if you want to be prepared for your next trip. When looking for airport taxis in Milan, some knowledge of the Italian language might be of help – but if you want to know many dollars are equal to the Euro amount you have to pay at the end of your trip, some cab drivers might slightly inflate the prices, so to say. This is why you should rely on the XE Currency app – it comes with plenty of currencies that you can convert in to and from and it also doesn’t require an internet connection after you’ve first downloaded it and selected your main currency. Sometimes you may need to refresh the data of your Google Maps or Google Translate – in this case, you’ll need an internet connection, but you also don’t feel like buying a foreign number just to get some internet. After all, WiFI is here – the WiFi map app scans your surrounding areas and checks a database of over 100 million internet hotspots updated by the app’s actual users. In the end, you’ll get information on where you can find the closest WiFi connection and about its password as well. When it comes to planning, schedules, and itineraries, there are few apps that actually do a good job – among them, you can find Tripit. We say that it does a good job because you don’t actually have to type in all of the information you need to be saved in your schedule. For example, if you’ve made a booking or reservation online and have received a confirmation e-mail, you just have to forward that e-mail towards the Tripit app and the latter will automatically update your schedule. Instead of having Wikipedia, Wikitravel, and several other travel websites ready to be opened on your phone, you can just download Triposo – the only thing you need to remember is to download the guides before leaving home. The app takes crowd-sourced information from a plethora of travel sites and compiles it into a very useful offline trip guide – in short, you will get tons of information regarding the areas you want to visit. Moreover, the app will also give you recommendations in terms of activities, restaurants, hotels, as well as provide you with directions and maps! If you like the NPromote blog, check out our about page! Hi, I'm Neil and N Promote is all about business and marketing. Creating a business or website is only half the battle. The other half is promoting it to drive traffic and customers to your business!